Celebrating the bond of brother and sister. 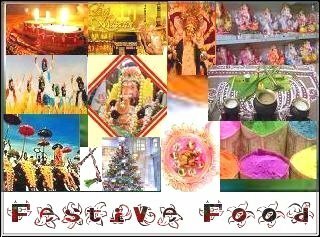 This post is for the Food Festival Event at http://indiankhanna.blogspot.com/ . Also sending Hilsa with Steam to Original Recipes hosted by Lore. I don’t have a brother, so never felt the beauty of Rakhi. When I was in school , there was no holiday for Rakhi and so the day went by like any other day. But seeing everybody tying Rakhi I felt like doing so and so this idea sprang up. I started tying Rakhi to my sister. Till date I do so, even when I am thousands of miles apart from her, I have sent her the Rakhi for this year too. With the monsoon and the festival in air I just couldn’t think of any other recipe than Hilsa with steam. Also this is my sister’s most favorite dish, so this one all for you Pupu and also to all the brothers and sisters viewing my post. With the first rain drop, the thing that comes to the mind of all Bengalis all over the world is Ilish. This salt water fish that comes to lay eggs in fresh water is a delicacy among all fish lovers. Today is a special recipe for this special fish. Though we call it Ilisher Bhaape, but the name I have given is from a seven-star hotel menu card, that makes you think what actually it is. The preparation is very simple and the whole cooking takes maximum 15 minutes. Make a paste of mustard and poppy seeds along with 2 /3 chillies. Wash the fish pieces well, take them in a shallow microwave bowl. Add salt, turmeric powder to the mustard and poppy paste. Mix the paste to the fish well and pour the oil over it, also add the remaining chillies. Microwave for 5 / 6 minutes at 800watts (microwave high), in between check whether the fish has become soft and the mustard smell is coming out or not. Serve hot with rice , and enjoy this great delicacy. This entry was posted on August 10, 2008 at 10:35 am	and is filed under fish. 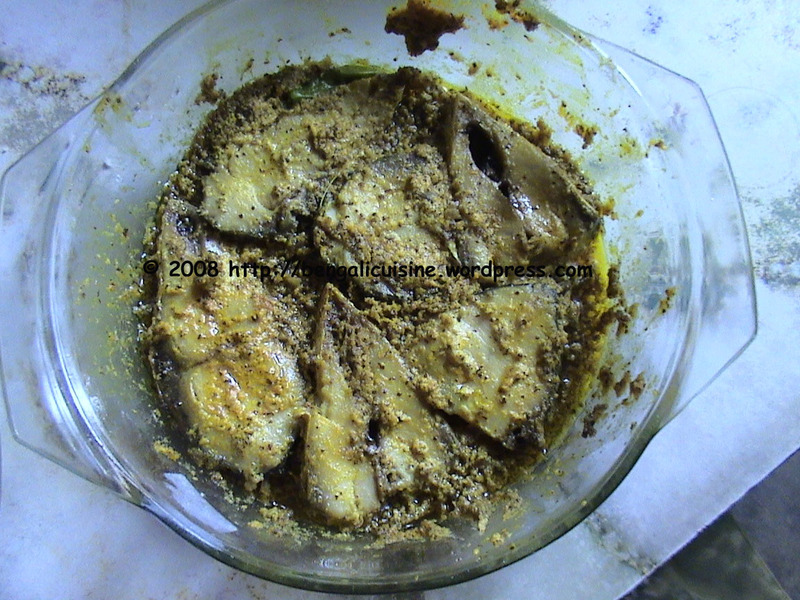 Tagged: bengali ranna, hilsa, ilish, ilish bhape, mustard hilsa, mustard ilish, sarse ilish. You can follow any responses to this entry through the RSS 2.0 feed. You can leave a response, or trackback from your own site. Lovely writeup, gud way of celebrating Rakhi :)…Hilsa looking wonderful. Thanks for the nice entry. I am sure your sister must be really delighted to receive Rakhi from you every year..
Hi, you have a very nice blog full of bengali recipes. There are not too many bengali recipe blogs around. I hope you don’t mind, I have added you to my blogroll. Feel free to visit my blog and leave comments. Am trying to put more Bengali food on mine. Thanks for sharing your recipe with the Original Recipes Round-Up! Hi, check my blog. There is a surprise for you there. I dont like Hilsa, never have. But this probably is worth a try. Will tell you when I have that!